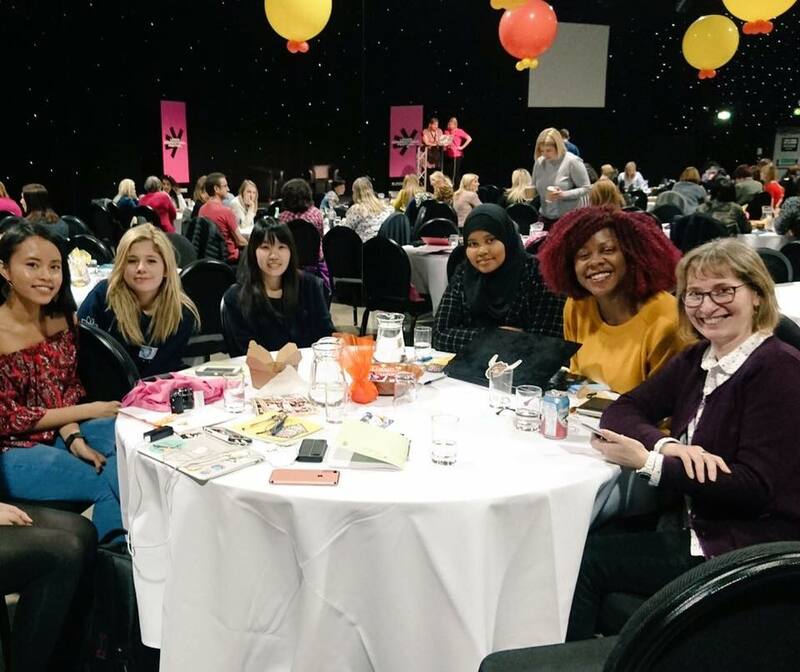 Last Wednesday I attended another women-focused conference as part of the Leeds International Festival. Tejay and I managed to get some CF:G students to come with us too so it was another exciting #shefcodefirst squad trip. I’m really glad I got to share the experience with others who were just as enthusiastic about tech and gender equality as I am! Louise is missing but the Sheffield gang! The day started off early. 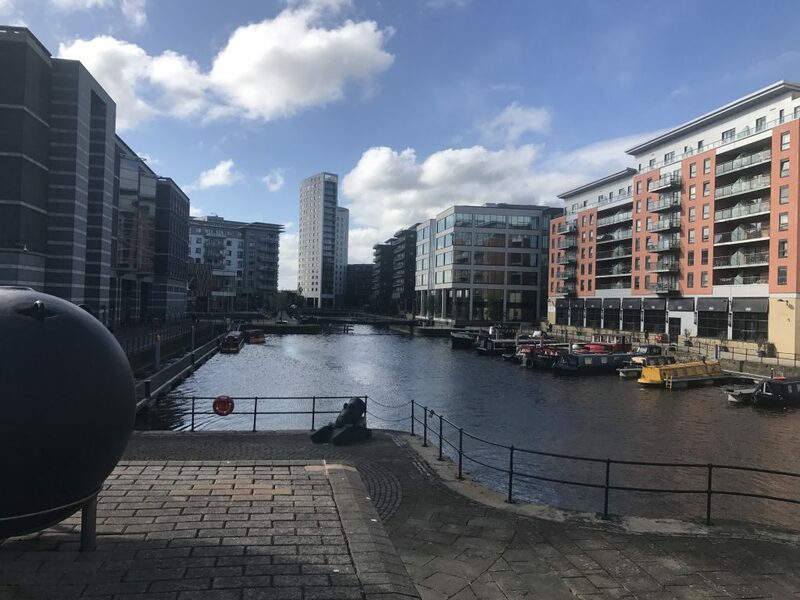 Once we arrived in Leeds, we got a little lost on the way to the venue but saw some pretty sights so it’s always worth getting lost 😉 It was my first time in Leeds and the city reminded me a lot of London, I will definitely be back to explore the city centre a bit more. Hedy Lamarr – inventor behind WiFi and Bluetooth technology used today! Showcasing the rich history of amazing women was inspiring and now I want to talk to every young girl about these famous female scientists, inventors! Not everything is man-made. I was left motivated to keep supporting schemes like Code First and to continue talking to younger girls about STEM. It’s not thought of much but music and technology go hand in hand. Emmy talked about how music has driven technological innovations such as YouTube, Amazon Echo and Spotify. It was interesting to hear about her role in Warner Music Group, her journey of getting into music and then pairing it with her knowledge of tech then applying it to create some awesome things! As tech is a continuous thing that is always moving forward, Emmy highlighted the importance of failing fast, learning from the lessons and moving forward to always stay on top of the game. This has many applications every day and inspired me to think about how I can apply that to my current projects. 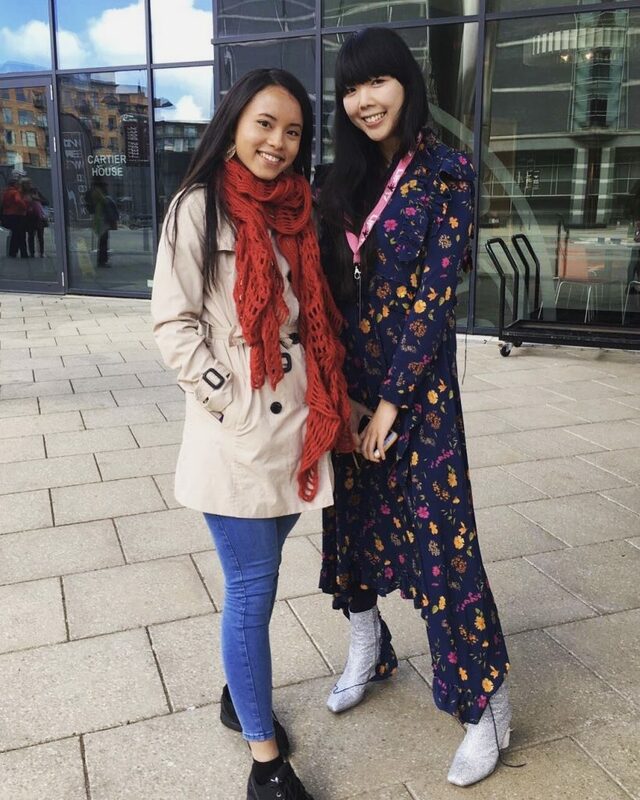 Susie shared her story of how StyleBubble first started – initially teaching herself simple HTML in 2006 for a fan site then moving onto sharing her love for fashion, crafts, manufacturing. Being a blogger myself, with one of my first websites being a fansite (for High School Musical, lol embarrassing) and spending a lot of my time in my room, glued to the computer; creating and sharing, I related a lot to Susie’s talk. Susie spoke about being labelled, “jack of all traits, master of none” and how this isn’t necessarily negative especially in the digital space where it’s important to adopt all different skills to effectively make use of all the many online platforms. Outfit on point though. 👌🏻 Thanks for taking the photo, Hamdah! Her talk encouraged me to continue taking that leap of faith and putting myself out there. Besides, “content is king”. It’s been said before but women are much more likely to want to tick every box when it comes to applying for jobs compared to men who send applications anyway. This perfectionist behaviour has drawbacks. 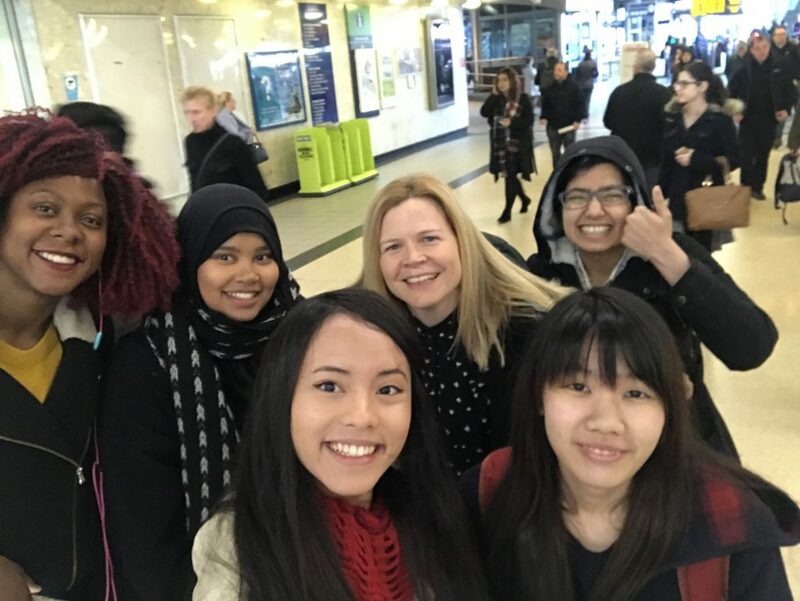 As Debbie highlights the importance of being bold and brave (#BeBoldForChange) She encourages women, in particular, to take risks and just to go for it – whether that’s applying for a job or starting a business. Sure mistakes are bound to happen but you learn from them! Debbie also talked about success and how it doesn’t happen overnight, it’s 10 years of founders working hard consistently. She also spoke about her routine in the morning that had helped keep her on her successful track – waking up early and exercise without fail really showcased her ability to be disciplined which has ultimately contributed to part of her success. Her talk not only motivated me to continue with my 5 am grind (meditation, exercise and journaling) but reminded me to stop wanting to be perfect all the time because the reality is no one is going to be good at everything and sometimes, willingness to learn is much more important than ticking all the boxes. 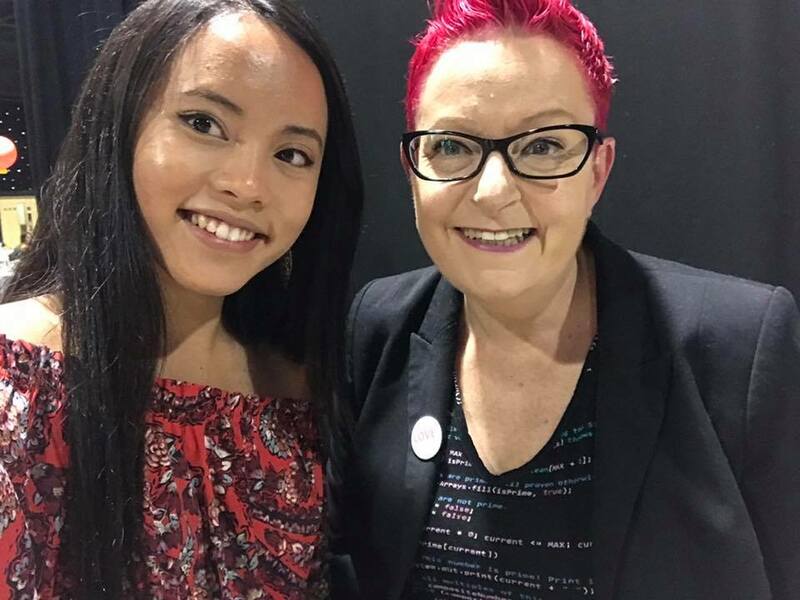 I had met Natasha before her talk and was really impressed with (and thankful) organising the event in the first place. She was a pleasure to talk to and was just as awesome during her talk. Natasha spoke about her journey of getting into tech. She started in tech with just a genuine interest in learning to code, describing it as “empowering” (YES, IT IS!! 💪🏼) and that she felt like a little hacker 😆 However at that time, there wasn’t a lot of information on how to get into the industry at all so, from this, she sort of fell out of the tech world despite being very passionate about it from a young age. After many drawbacks from people who had not believed in her, she continued to push her boundaries, overcame the imposter syndrome (as difficult as it is), and believed in herself. She is now Head of Technology at Sky. I hear stories of success like this all the time (especially since I surround myself in such a wonderful girl gang community) but it never fails to inspire me how headstrong these women are. It is SO incredibly easy to fall back, to take the less difficult route, to accept other people’s comments about your abilities, to be completely immersed in “imposter syndrome” but here these women are, breeding success through determination. It’s incredibly admirable! Help and support each other as you climb up that ladder, remember who has helped you along the way and continue taking people up with you. Having a wide range of skills is a massive asset rather than a hindrance. Continue to take the lead because you never know where it may take you. Be bold! Dr Sue Black spoke about her career journey and the struggles she had to face during her time. She said one of the most defining things that had helped her through her journey was gathering women together to chat and support each other. 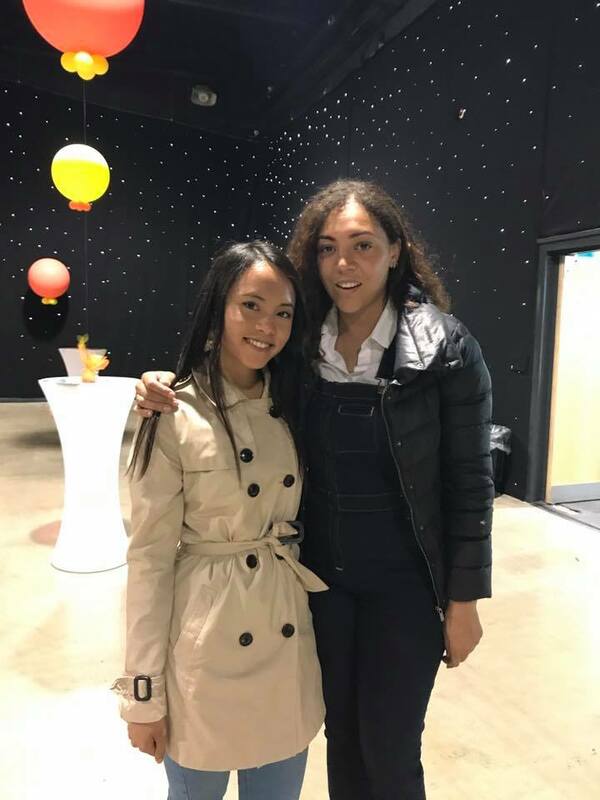 The community and network she had set-up (similar to the existing community I’ve been helping to establish amongst the Sheffield Code First Girls alumni) again proved to me how important it is to have a girl gang where women can feel confident in sharing things with each other. Sue also took on a lead on creating #techmums which demonstrate positive influencing again! The aim was for kids to use their mums as an example and hopefully increase positive choices in kids’ choices at school. Tech is a great enabler, it can change your life! Community is key – find that group. Social media is great – use it effectively and to your advantage – create positive change! Quality over quantity with content! Being creative and innovative is always important, think outside of the box. It’s about attitude and where your head is at – not age. Mindset. Don’t wait to be perfect! In addition to these incredible speakers, I met some other women who were killing it with what they’re doing and felt the love and support from every single one of them. All of them acted as great mentors for a day! Special shout out to Tanja for the wise words and for fuelling my energy always! I’m really thankful that I was joined by fellow CFG ladies who benefitted from the day as much as I did. It’s always great getting them involved with the much bigger women in tech community. 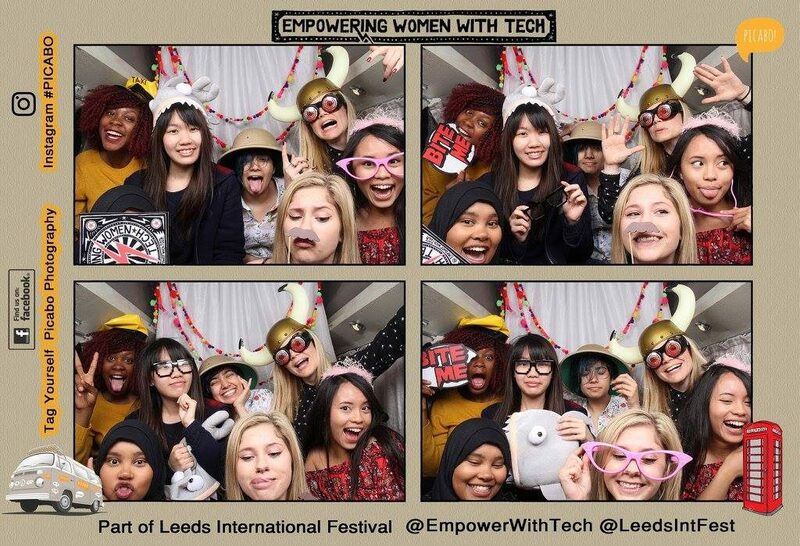 Many thanks again to Natasha and other organisers of both the Empowering With Tech conference and Leeds International Festival – I am so hyped for next years! 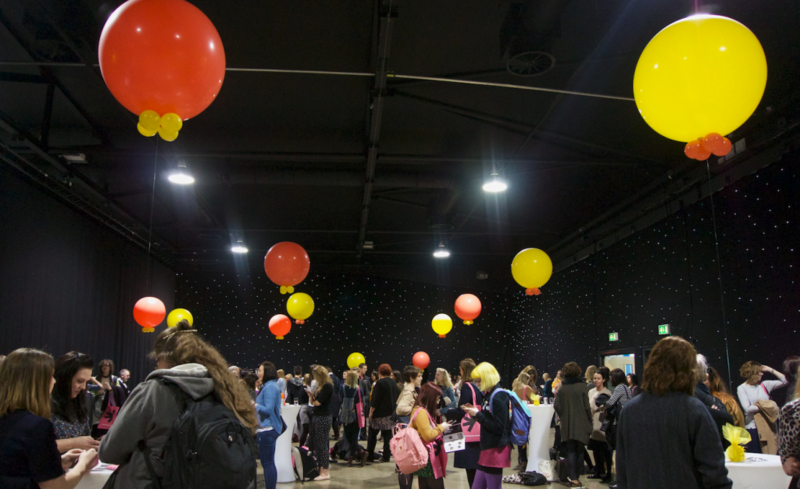 Looks like you had lots of fun at the Empowering Women with Tech conference! It’s great to see women motivating other women to go out and be awesome (with technology). It’s unfortunate that there is inequality in the field. I feel like more could’ve been innovated if women were treated equally to begin with. I agree that success takes time and heck, it’s even an ongoing progress. Technology is good for the soul and we need to work together to improve it! Women should do whatever they can to empower, encourage, and motivate each other to do great things. I’ve seen a few who are so salty and always trying to find ways to put other women down. I wonder to myself why they do that. Hurting other’s self-esteem to boost one-selves? With that said, you go, Pauline! Glad to see that you enjoyed your time there! Its really amazing how much women can do. You never do realize it. Sounds like a great exeperience! I really wish I could have attended (stupid work), but I am so glad that all of you had an amazing time. It looked like so much fun! Ah, you met Susie Bubble! I don’t really follow her, but I have heard of her and I think she’s super inspiring in the blogosphere. She literally started where a lot of us have and has achieved so much since. Amazing! I love your women in tech posts because seeing women lead in technology is such a breath of air! Once again, I am so envious that such an organization in your uni exists! Back in college, I applied as a web developer for this online news publication in my uni and I was the first girl to be accepted, which was a crazy concept for them. I wish they would get on with the times and create a women-empowered tech org. Thank you for introducing this event’s speakers to us! I love hearing about women’s success stories because they’re so inspiring and there’s so many lessons to learn. This post felt like we attended the event ourselves. I’m glad to hear you had fun while learning at the same time! I’ve never had a fansite but it’s so cool you managed an HSM one! Don’t worry, we were all HSM fans at one point in our lives (I still am one, who are we kidding). It must have felt great to be surrounded of many inspirational stories and amazing women who are the living example of courage, perseverence, faith. I women can strive and be as good and maybe better than men. The problem, in my opinion, is the mindset the society has and how we were taught that we are nit as good as men. I believe that if we cand change our mindset we can achieve anything. These women did and they are and inspiration. And sincerely, you are an inspiration too. I’ve been reading your blog and you achieved so many things. You should be proud of yourself and be aware of the fact that you are courageous and you can do anything. Women definitely need to be in tech more and this conference looks great! Great for women! I giggled reading about your description of the venue’s prettiness. I would have never considered balloons and sparkles in a tech conference, but that’s a good way to capture your attention! The Herstory talk sounds really interesting. As a history buff, I would have been all over the talk! I didn’t even know a woman was behind Kevlar bulletproof vest, WiFi and Bluetooth! That’s so cool! Debbie’s talk about success and her routine is on spot. Success is definitely not something that will happen overnight, and to be successful one must have a good routine and drive to do what they need to do. Glad you had fun at the conference! It must have been so great to be surrounded by such inspirational and successful women. 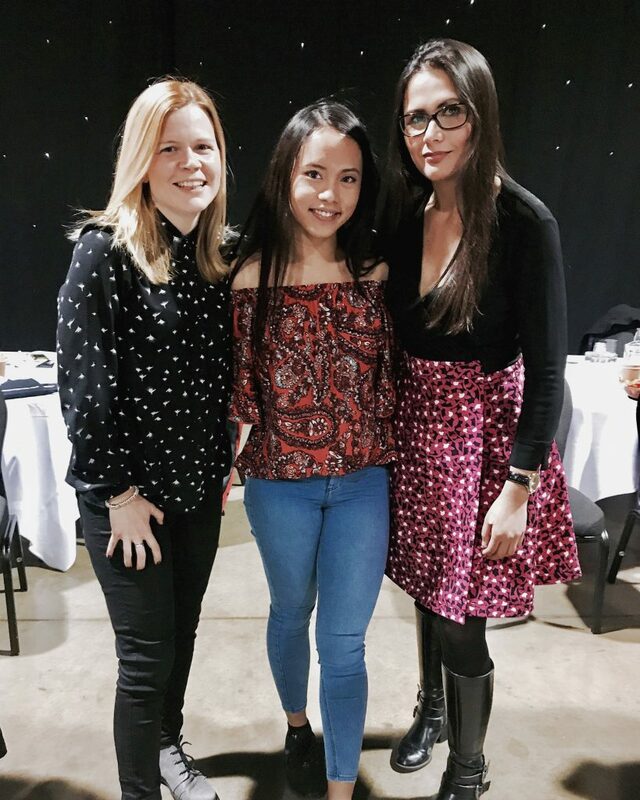 I’m glad to see more of these events popping up across the UK, it’s definitely important to teach women that they can be whatever they want to be. The talks all sound amazing! I’d loved to have seen the interview with Lauren Laverne, that would have been so cool! And Susie Bubble’s talk sounds really interesting, also. It’s so great how she developed her skills by creating fan sites. Can’t believe you used to run a High School Musical fan site! I’d have loved that when I was a teenager. Debbie Wosskow makes a great point. I’m definitely someone who likes to tick all the boxes when applying for a job, which deterred me from applying for some things, even though I could have still been in with a chance. I think it’s worth applying for things above your skill set sometimes, because that’s how you grow your skills. And if you’re enthusiastic and motivated enough, you might just get it! Glad you enjoyed the day! Hope you visit Leeds again at some point! This review of the conference was great! Glad you didn’t spend a lot of time being lost. 😆 And the balloons were probably a dead giveaway. And definitely makes everything more fun! I really like that someone like Susie Bubble was one of the speakers. You don’t normally hear about fashion bloggers at these kinds of events, I feel, but I think she really knows what she is doing and is 100% not your typical fashion blogger 😉 I love that photo of you two, too. I can imagine Debbie Wosskow would have been a massive inspiration for you, what with her making time for her own wellbeing in the early hours of the day! You two would make awesome pals. Dr Sue Black sounds like she would have been an amazing speaker too. Since she founded #techmums I would love to have heard more about that, but sounds like she covered some awesome topics as well. This sounds like an amazing conference! I love how they decorated with balloons and sparkles. You don’t see things like that often at conferences, and little things like that help you feel more welcomed. It looks like you went to a lot of great talks! Lately I’ve been more interested in learning about past women in STEM. There seems to be more books on it now, which I plan on buying some. (Several are for younger audiences too, which I love!) I think it’s really encouraging and inspiring to hear about women who had to overcome a lot and then end up in successful positions. They’re great examples of how we need to keep going! I’m glad you were able to go and had a good time there! Wow! Thanks for sharing! You’ve taken excellent notes and key points from each of the speakers. I wish I did that for every conference I’ve attended. Instead they’re lost on some paper somewhere with much wisdom long forgotten…^^;; I love Debbie Wosskow’s bit on her morning routine. 5am goals!